How easy is it for Black bodies or “Blackness” to become a consumable commodity without any changes to Black life? Please join us as Robin D. G. Kelley discusses the contradictions of the hypervisibility of Black subjects and themes in popular culture, the continued global consumption of Black spectacle, and the investment in representation as weapon to resist white supremacy and create an emancipatory future. In this lecture series we ask: what are the different tools for combating racism today, after Obama’s presidency and the backlash of the Trump regime? What do the tools of struggle and emancipation look like, and do aesthetics play a role? Robin D. G. Kelley is Distinguished Professor of History & Gary B. Nash Endowed Chair in U.S. History at UCLA. His books include Thelonious Monk: The Life and Times of an American Original (2009); Africa Speaks, America Answers: Modern Jazz in Revolutionary Times (2012); Race Rebels: Culture Politics and the Black Working Class (1994); Yo’ Mama’s DisFunktional! : Fighting the Culture Wars in Urban America (1997); and Freedom Dreams: The Black Radical Imagination (2002). He also edited (with Franklin Rosemont) Black, Brown, and Beige: Surrealist Writings from Africa and the African Diaspora (2009); (with Stephen Tuck) The Other Special Relationship: Race, Rights and Riots in Britain and the United States (2015); (with Earl Lewis) To Make Our World Anew: A History of African Americans (2000); and (with Sidney J. Lemelle), Imagining Home: Class, Culture, and Nationalism in the African Diaspora (1995). 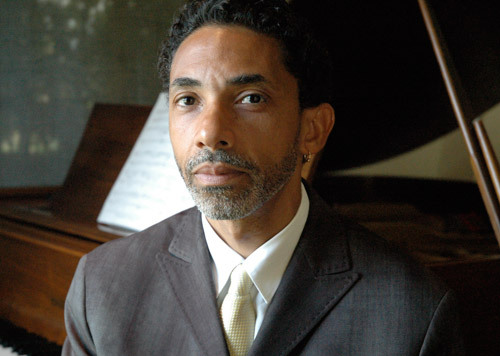 Kelley’s essays have appeared in several anthologies and publications, including The Nation, Monthly Review, The Voice Literary Supplement, New York Times, Color Lines, Counterpunch, Black Renaissance/Renaissance Noir, Social Text, Boston Review, American Historical Review, Journal of American History, New Labor Forum, and Souls, to name a few.